Without further a do, let's create a parking page and there are several ways you can do this. First, when you click on "Pages" menu item, you will see a button on the right hand side Create a new parking page You can also go to "My Domains" and click on "+ Page" button on a domain to create a parking page. 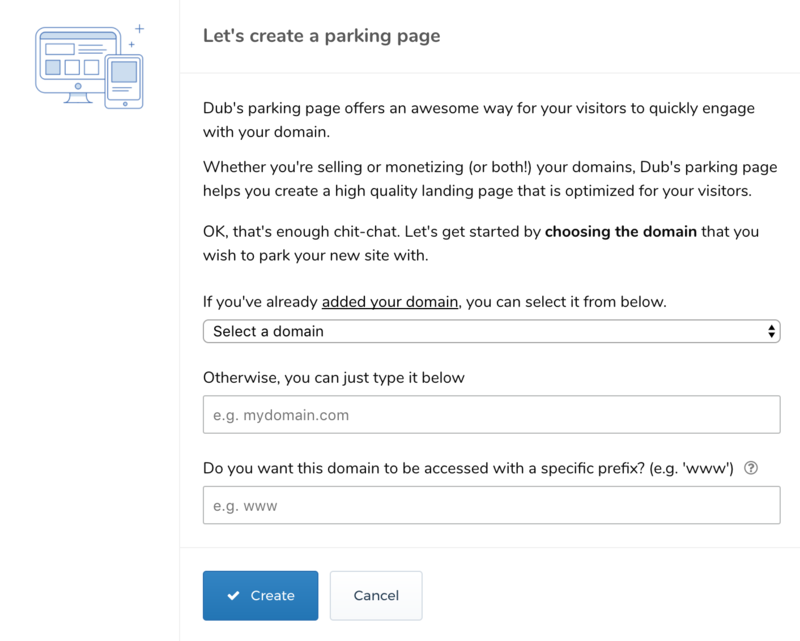 You will see a dialogue where you need to select a domain for your new parking page as displayed in screenshot 1 (of course, this is not the case when you click on "+ Page" button next to a domain in "My Domains" page). If you have added a domain via "My Domains" page, you can select an existing domain from the drop down. Or if you want to add another domain, you can just type it in the text field.